Features a 1/4" Teflon slider, rated as a Speed 10. Speed 10 sliders are perfect for experienced curlers interested in maximizing their sliding speed. These left handed Velocity shoes are designed for left-handed curlers and come with a slider on the right foot and a gripper on the left foot. Goldline’s line-up of G50 shoes includes Stance, Breeze, Swift and Velocity. These shoes are athletic, fashionable and packed with performance. All four styles feature a flexible upper and stable outsole for the perfect combination of balance and mobility. 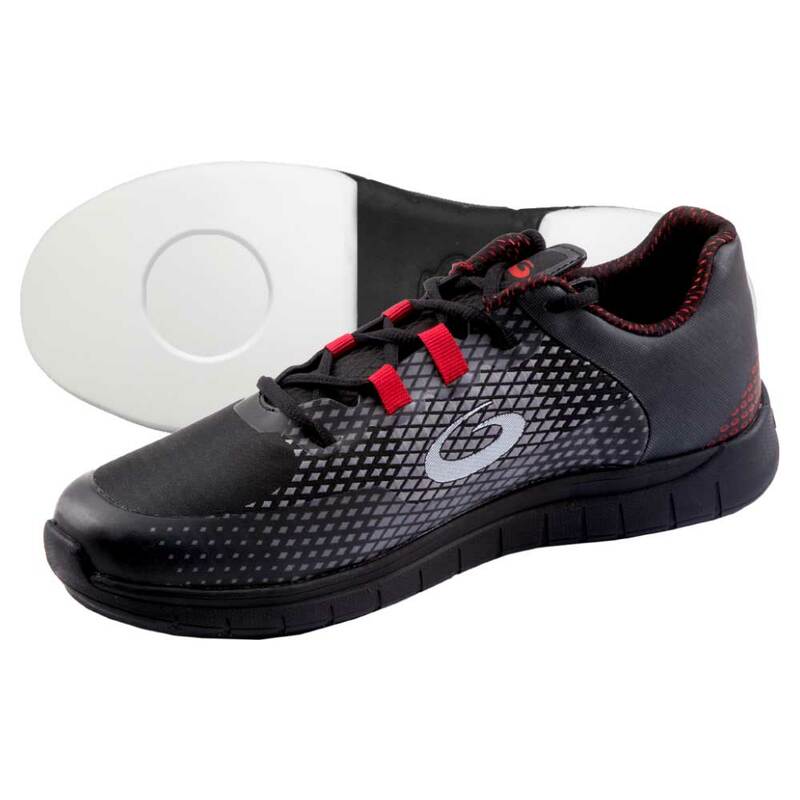 These left handed Velocity curling shoes feature a top-of-the-line 1/4" Teflon slider on the right foot (for left-handed curlers) and a premium rubber gripper sole on the left foot. The slider has strategically placed indents on the toe and heel that distribute weight to the periphery, enhancing stability. This makes the Velocity a great option for anyone looking for high end stability features and the best available Teflon sliding speed. Shoes rated as Speed 10 will maximize your sliding speed out of the hack, reducing leg stress and making it easier to achieve precision even with full take out weight. The G50 style is also available with more moderate Speed 5 and Speed 7 options. The Swift offers great value for performance with a 5/32" Teflon, Speed 7 slider and stability indents. The Breeze is rated as a Speed 5 with a 3/32" Teflon slider. 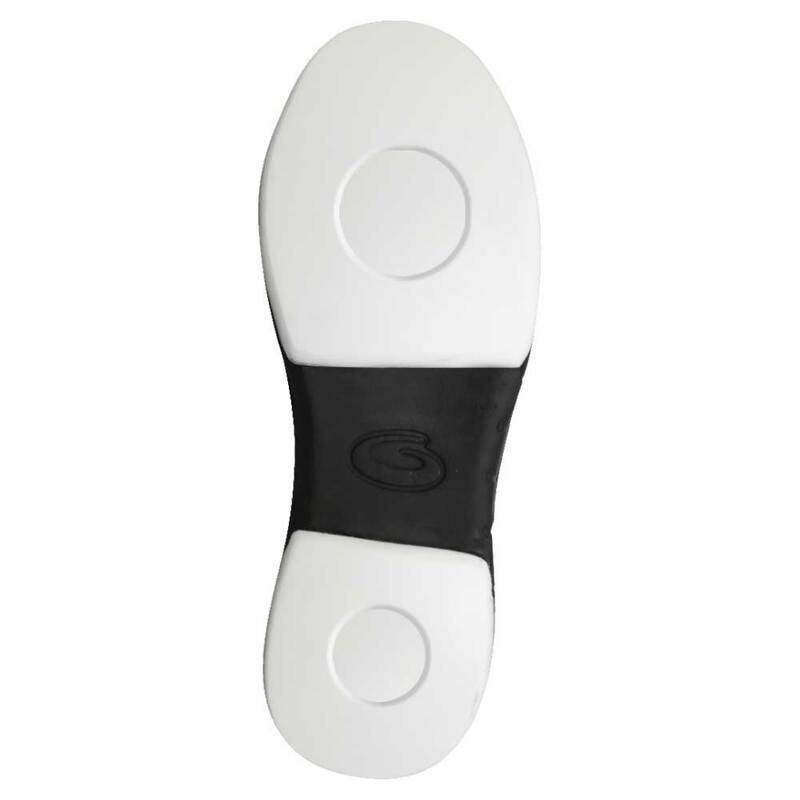 The Stance offers a "double gripper" version of the G50, with grippers on both feet.